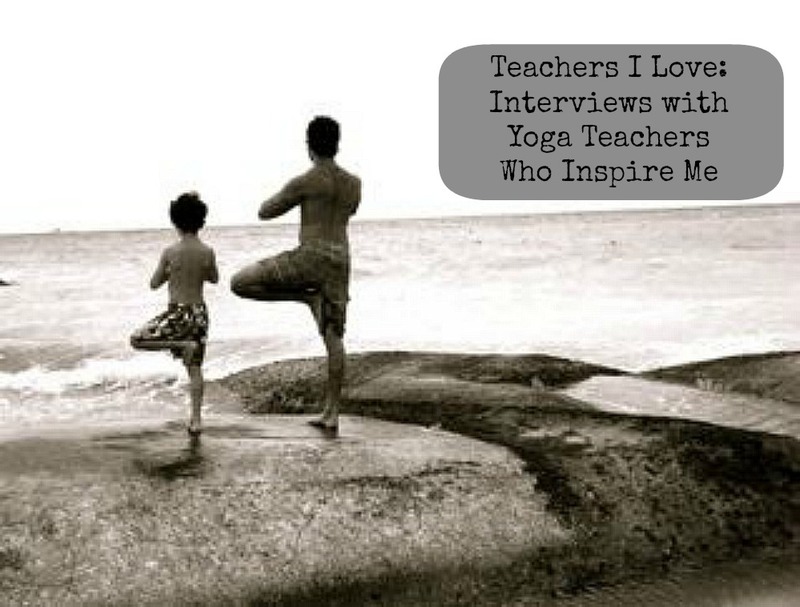 Over the years I’ve interviewed some of my favorite yoga teachers. For more with Michelle Marlahan proprietress of It’s All Yoga (Sacramento) – my primary teacher – excerpt from Part 2. It was a beginner’s class, but an accelerated one intended for folks who were already “in shape.” I don’t know what led me to believe that described me. I’ll never forget the teacher kneeling beside me trying to encourage me to roll back into plough pose. All my efforts produced almost no movement, only grunting. The teacher didn’t find it funny. Speaking of laughing and yoga….here’s how Anna Guest-Jelley describes her yoga classes. I like to describe my classes as a choose-your-own-adventure book. Remember those? I give lots of different options during class. I always talk with my students before class to check in and see what’s going on with them so I have an idea of what modifications to offer. The classes themselves are usually quiet with some bursts of laughter. Who or what inspires you? Who are your favorite yoga teachers? Interested in learning more about our Featured Teachers? Here’s the full archive. This entry was posted in A Yoga Story, Featured Teacher, Interview and tagged Anna Guest-Jelley, Featured Teacher, Interview, Madeleine Lohman, Michelle Marlahan by Teacher Goes Back to School. Bookmark the permalink. when i was reading that first part i thought, oh i can SO relate! haahaaaa!! that woman is so quotable!